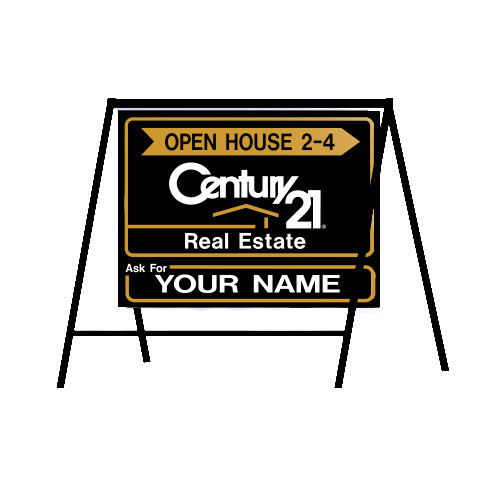 Promote your real estate properties and increase drive by traffic with our custom real estate signs. 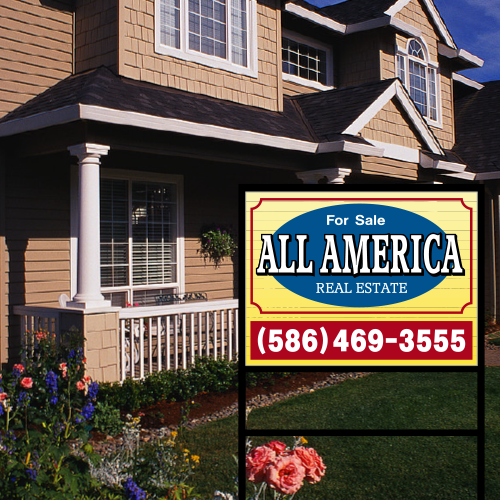 Eye-catching designs, bold colors and crisp, clear content will help your real estate sign stand out from the crowd . . . and get your property noticed. A recent NAR study showed that 63 percent of buyers indicated that they used information from a For Sale Sign to help find and buy property! 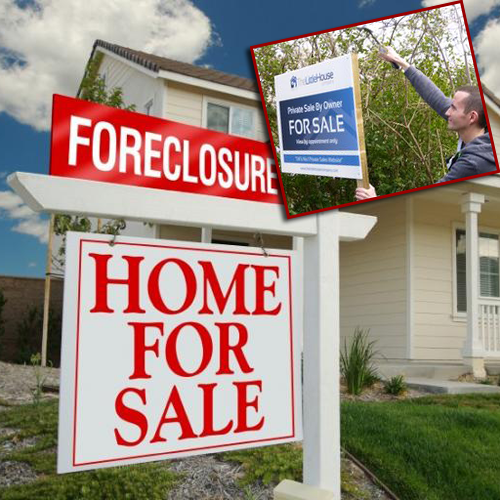 Use one of our professional designs – or let us create your own unique for sale signs from scratch – to help you sell your properties. 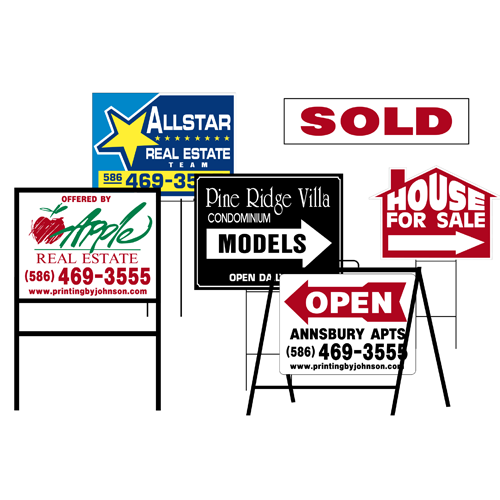 We also offer custom for sale by owner signs, Realtor signs, sold signs, open house signs, for rent signs, for lease signs, brochure boxes, metal frames and more to help with all of your real estate signage needs. Whatever your real estate signage needs, our talented design team can create a custom sign for you.